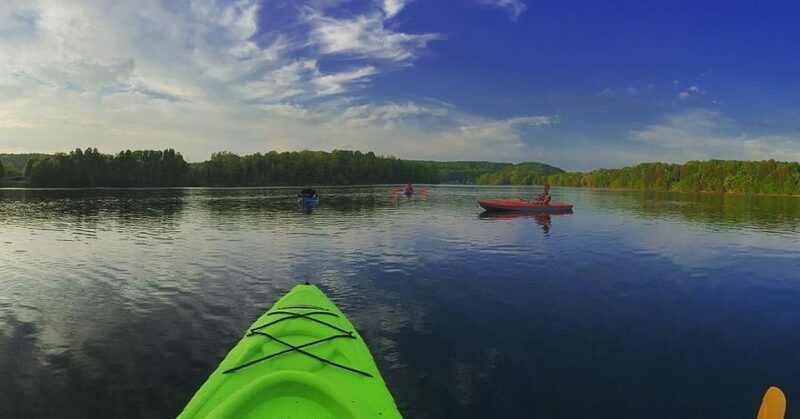 Kayaking is an exciting sport where you can take in scenic views while traversing down the water — there are few places better than Ohio for exploring the water by kayak! Planning your trip is most important before you go kayaking to ensure that you have a safe and enjoyable time. Always be aware of local hazards. Keep safety tips in mind when planning a kayaking trip as always. 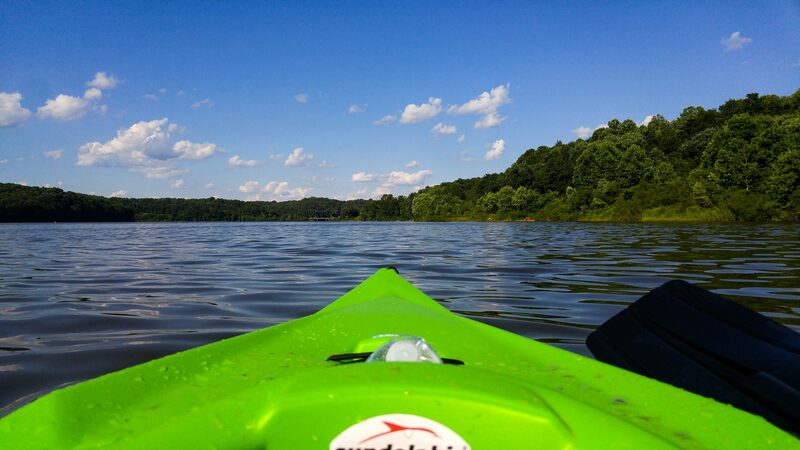 Now that we made sure you can get home safely, here are some awesome places you can go kayaking in Ohio. Cruise through with your kayak and take an adventure on Portage Lake. Located in the Portage State Park, this lake is comprised of eight other lakes and covers an area of 2,034-acres. There is an array of channels for you and friends to explore. Views of unspoiled wildlife and local lakefront homes make kayaking on this lake unique, an experience you will remember. Located in the southeastern part of Ohio is the beautiful Hocking River. Stretching through Fairfield, Athens and Hocking counties. Enjoy breathtaking scenes while kayaking along this majestic river. 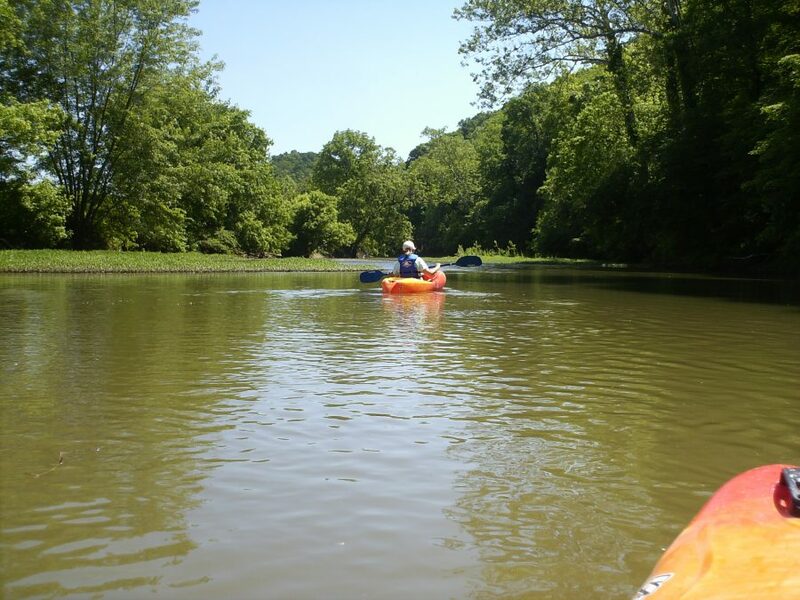 It is one of the most popular destinations to kayak in Ohio, as an individual or a day out with the whole family. There are many launch sites to choose from to start your adventure on the lengthy of river. If you are planning to spend all day on the river, there are multiple campsites to choose from. Or maybe even hiking to explore Rockbridge, a natural bridge created by the erosion of the surrounding environment. To add another level to your experience, there is the Hawking Hills Canoe Livery available nearby. Popular for their quality service and kayak, canoe and raft rentals. As well as shuttle services to taxi you to a launch site of your choice. Other things they offer include horseback riding and organized trips like campground packages that friends, or family will enjoy. Located in the Hinckley Reservation in Medina County, this 90-acre lake is an attractive destination for paddlers and fishermen. Guests make annual migrations to the reservation to take part in all sorts of outdoor activities. Organized boating events are held on the lake for all ages. On site is the Hinckley Lake Boathouse. A company that offer rentals to the parks kayaks, canoes, and paddle sports equipment. Also, pontoons and motorized boats. There is a public launch ramp available if you decide to bring your own vessel. 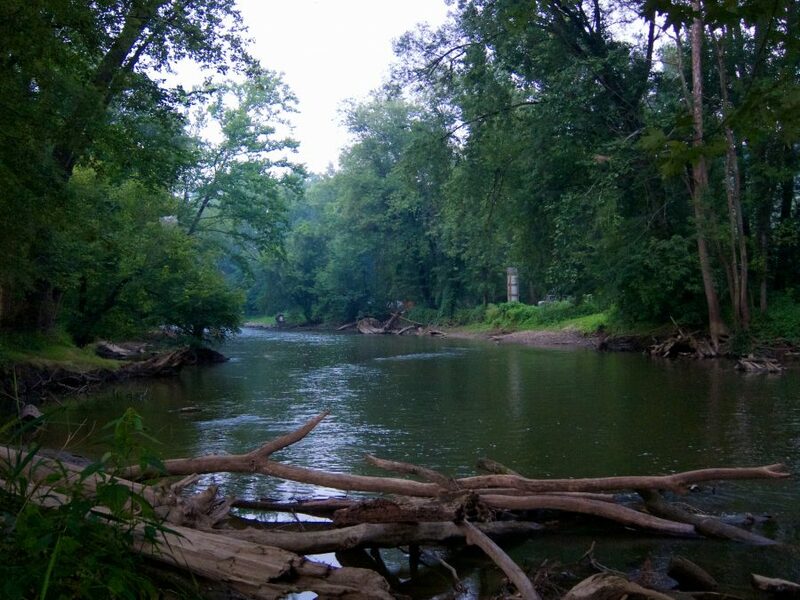 Dubbed “Ohio’s Canoe Capital”, the 28-mile-long Mohican River has four main water access points and is found in Loudonville between both Columbus and Cleveland. This destination is a must see, as it snakes through the Mohican State Park, one of the most awe-inspiring places in the city. 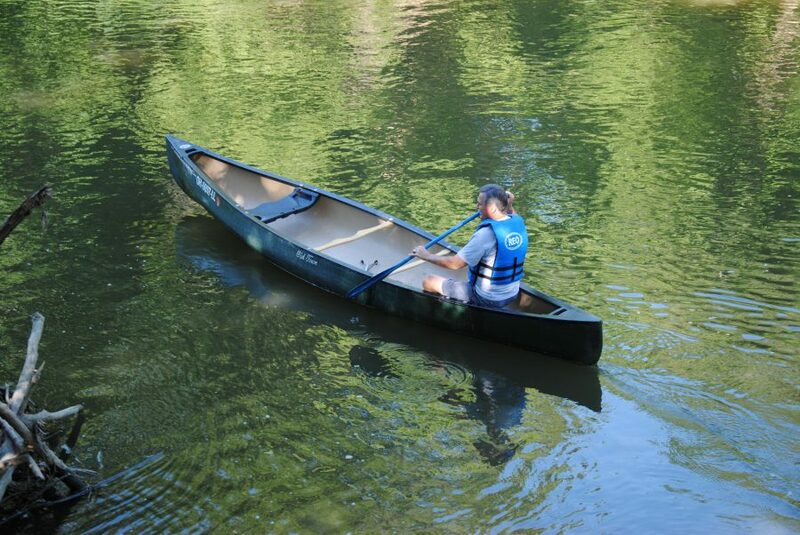 The Mohican River is easy to navigate giving you have time to soak in the natural surroundings as you paddle down its tranquil waters. There are other amenities to enjoy while visiting the Mohican River. Like camping sites and cabins for lodging accommodations. Even taking part in hiking, ziplining, fishing and many other outdoor activities. There are plenty of dependable livery services to choose from like Mohican Adventures, Mohican Wilderness and Loudonville Canoe Livery. These well-known companies can help you plan and experience a great day or weekend out. Open for the public, but recommended for more experienced paddlers, the Cuyahoga River is 100 miles long. Located in the Cuyahoga Valley National Park. The park recently went through a renovation which included sites used for recreation and educational uses. Called the Boston Shore Visitor Center, Red Lock, Station Road Bridge Trailhead and new access points for paddlers. If you are in Summit County check out Cuyahoga Falls Burning River Adventures. They offer tours with knowledge guides, also giving kayak rental services. Go for a kayak trip on one of the famed Great Lakes. Kayaking on Lake Erie gives you an opportunity to take in the breathtaking and serene beauty that is all around you. On your quest paddle around an assortment of bays and alcoves. Gaze upon the abundance of wildlife in their natural habitat. One thing to take into consideration while planning a trip to Lake Erie is the weather. Its an important factor as the conditions can change quickly, making the water shaky and dangerous to be in. Launch from public areas and indulge in the views of the Marblehead area. Take time to take advantage of seeing and exploring the historic sites that are around. Such as the Marblehead Lighthouse, Cedar point, and Kelly’s Island. Those sites offer great outdoor recreation activities and wildlife to view. If that’s not enough to amaze you, Lake Erie boasts ideal sandy beaches to enjoy a picnic or relax on. What else could beat kayaking on the Great Lake Erie. The Little Miami River is the ideal place to go paddling in southwestern, Ohio. Located in Cincinnati, this massive river runs through five counties and gives you 111 miles of water to explore. A recommended launching site in the area is near Fort Ancient, where you can take off on the water into the beautiful valley. Morgan’s Canoe Livery is a great place to rent watercraft for your adventure. They also offer other services and packages. Such as picnicking, overnight camping and other amenities. Another one of the many places to enjoy a kayaking trip in the city, is the Big Darby Creek in central Ohio. Indulge yourself in the deep diversity of wildlife when paddling through the Battelle-Darby Metro Park and enjoying the scenes along this National Scenic River. A few minutes away in Grove City is a reputable livery service named Trapper Johns. This business can assist you in equipment rentals. In addition, there are also various trips available that can be taken on the Big and Little Darby Creeks. For the trill seeker there is a Moonlight Paddle Experience also. Ohio has various places to partake in kayaking and other activities. When on the water remember to adhere to local boating laws and responsibilities. Also, keep in mind some paddling hazards, being knowledgeable and aware of these hazards can save your life. Enjoy your trip on the water!